Showing results by publisher "Learn French With Alexa Ltd"
Alexa Polidoro, the Internet's favourite French teacher, presents a new series of mini-lessons for people who wish to improve their French without any pressure, in fun, relaxed and manageable chunks. (These lessons can be enjoyed individually or as a supplement to her popular “French for Beginners” course.) 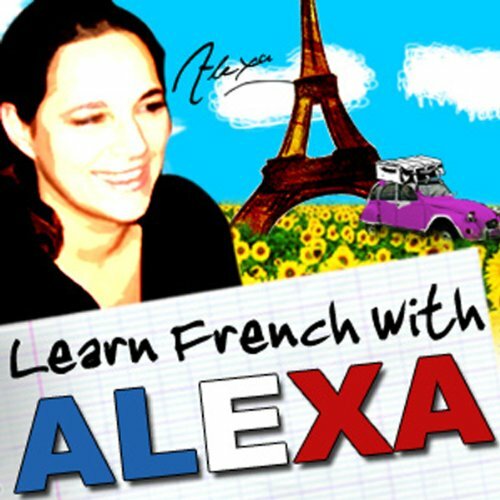 The key objective of Alexa’s Bitesize French Lessons is to develop your language skills in all four learning areas: speaking, listening, reading and writing. Alexa Polidoro, the Internet's favourite French teacher, presents a new series of mini-lessons for people who wish to improve their French without any pressure, in fun, relaxed and manageable chunks. (These lessons can be enjoyed individually or as a supplement to her popular “French for Beginners” course – also available on the audible website. )The key objective of Alexa’s Bitesize French Lessons is to develop your language skills in all four learning areas: speaking, listening, reading and writing. Alexa Polidoro, the Internet's favourite French teacher, presents a new series of mini-lessons for people who wish to improve their French without any pressure, in fun, relaxed and manageable chunks. (These lessons can be enjoyed individually or as a supplement to her popular “French for Beginners” course – also available from Audible. Alexa Polidoro, the Internet's favourite French teacher, presents a new series of mini-lessons for people who wish to improve their French without any pressure, in fun, relaxed and manageable chunks. (These lessons can be enjoyed individually or as a supplement to her popular “French for Beginners” course – also available from Audible).